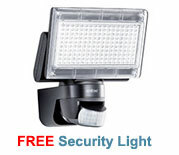 LED P I R security floodlight. 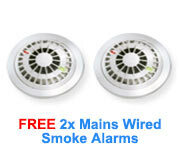 2 x Mains operated smoke alarms. 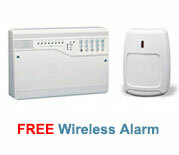 Burglar alarm including 2 P I R's, control panel, bell box, back up battery. 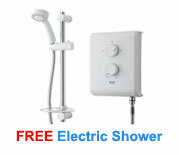 All the above are fully installed with the exception of plumbing to the shower. We offer a 10% OAP discount on all electrical work off our normal price list. We accept payment by cash, cheque, credit or debit card on completion of work. Once your rewire has been carried out, should you recommend a friend, neighbour or relative, and that recommendation results in our service being used we will pay you £50 once the work has been completed and paid for. We will supply you with recommendation cards on completion of your work should you wish to take advantage of this scheme and earn some extra money. We carry out work in all of the following areas : Ainsdale, Aintree, Anfield, Aughton, Bebington, Birkdale, Blundellsands, Bootle, Birkenhead, Burscough, Cheshire, Chester, Childwall, Crosby, Ellesmere Port, Everton, Fazakerley, Ford, Formby, Garston, Gatacre, Greasby, Higher Bebington, Hightown, Huyton,Ince Blundell, Kirkby, Kirkdale, Knowsley, Litherland, Little Sutton, Liverpool, Lydiate,Maghull, Melling, Merseyside, Morton,Netherton, Neston, New Brighton, Ormskirk, Orrell Park, Prenton, Rainford, Runcorn, Seaforth, Skelmersdale, Southport, Speke, Tranmere, Walton, Waterloo, Warrington, Wavertree, West Derby, Wigan, Wirral. Other areas that may not be listed above.